SEATTLE — Figuring out how much marijuana people use has been one of the trickiest, and most important, questions facing the bureaucrats who are setting up Washington state’s new legal pot system. Underestimate demand, and marijuana fans might stick with their black market dealers. Overestimate it, and the surplus legal production could wind up being diverted out of state, or to kids. Now, researchers working with the state’s official pot consultant think they have their best look yet at cannabis consumption in Washington – aided by a novel survey aimed at figuring out how much the heaviest users of marijuana burn on a typical day. In a study released Wednesday, a RAND Corp. team figured that Washington’s roughly 750,000 marijuana users will have consumed between 135 to 225 metric tons of the drug in 2013. The median figure they came up with, 175 metric tons, is more than twice what the state estimated before voters approved Washington’s legal weed law last year. But officials have been aware since June that RAND’s researchers were headed toward the higher number, and they say the new study won’t require any sudden changes to the rollout of the state system. 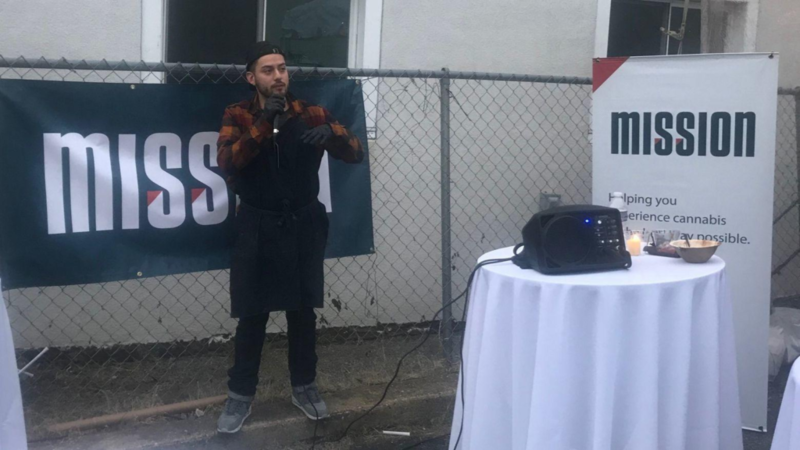 “That’s the ballpark of what we’re looking at with our system,” said Brian Smith, a spokesman for the state Liquor Control Board, the agency charged with regulating marijuana in Washington. Washington and Colorado legalized the possession of marijuana by adults over 21 last year, and both states are setting up systems of state-licensed growers, processors and retail stores where taxed pot will be available. Sales are expected to begin Jan. 1 in Colorado, while Washington isn’t expected to have stores open until late spring. The U.S. Justice Department is allowing the experiments to proceed as long as the states keep pot away from the black market and children, and meet other federal law enforcement priorities. In Washington, officials aren’t hoping to capture the entire marijuana market in the first year of legal recreational sales. Instead, they’re looking at having state-licensed growers produce 80 metric tons of marijuana, half for use as traditional dried buds and half for use in producing marijuana-infused products. RAND’s study, “Before the Grand Opening,” aims to take a snapshot of pot use here on the eve of legal sales. It found that half of the marijuana used in the state is consumed in the state’s three most populous counties. King County, which includes Seattle, accounts for about 30 percent, while Pierce to the south and Snohomish to the north account for about 11 percent each. The study drew on national, government-funded surveys, but the researchers also conducted their own online survey of marijuana users to address a gap in the national research: How much marijuana do people use when they use it, especially because pot is often shared? One of the primary national surveys on drug use stopped asking people how many joints they smoked nearly 20 years ago, noted RAND study author Beau Kilmer. Especially important is figuring out how much pot is smoked by consumers who use it more than 21 days per month, Kilmer said. That relatively small segment of the market accounts for about 80 percent of all marijuana used, according to earlier research. “If you can get a good idea about what those heavy users use, you can get a pretty good idea about the size of the market,” he said. The team determined an online survey was the best way on a relatively tight deadline to get an idea of how much pot people use, despite limitations such as the self-selection of participants in the survey and the possibility of insincere respondents – “scoundrels,” the authors called them – trying to throw off the results. Ultimately, the authors developed ways to try to flag such responses. The pot users were shown pictures depicting a gram or half-gram of marijuana next to a credit card and a coin for scale – an unusual idea aimed at improving the accuracy of their responses about how much they use. Nearly 64 percent of the 2,783 respondents from Washington state reported using pot at least 21 days per month, typically 1.3 to 1.9 grams per day on each day that they used, the report said. A gram of marijuana often sells for $10 to $12 in Washington.